Appointments: We are currently booking appointments Mon-Fri 10am – 8pm and Saturday 10am – 4pm. Drop Offs: You can drop off/ pick up your tax information at our office with no appointment! Online: We can prepare your taxes without you even having to come to our office! Simply send us an email to request access to our Secure Client Portal to tinak@integrityintaxllc.com. We will then send you an email with a link upload your tax documents to your personal folder on our Secure Client Portal. Attachments: Our Client Worksheets are available for you to complete and assemble your tax information on our website under the Resources tab. All worksheets may not apply to your situation. Use the worksheets that apply. Added Bonus: Download Tina’s book “Taking the Medical Expense Tax Deduction for Baby Boomers and Seniors Too” at http://integrityintaxllc.com/files/Medical-Expenses-for-Baby-Boomers-and-Seniors-12-23-2017.pdf. Why Us? We support local animal rescues & shelters throughout the NE Wisconsin area! A portion of your tax return fee is donated to pets in need. 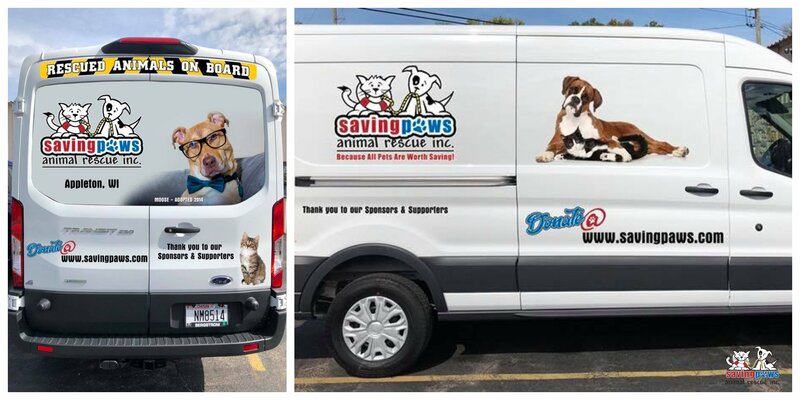 Last year, we helped Saving Paws Animal Rescue raise funds to purchase a new transport van (pictured below)! 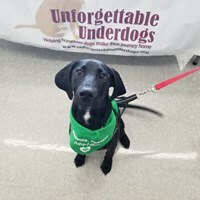 This tax season, our donations will go to Woof Lodge & Rescue in Appleton, WI and Unforgettable Underdogs in Little Chute, WI. Thank you for helping us help others! Identity Theft: In an effort with the IRS to prevent identity theft we will be asking for a copy of all Social Security Cards on the tax return and a copy of the primary taxpayer’s driver’s license. We have taken numerous steps to protect and safeguard your personal information by our office. If at any point there appears to be inconsistent or incomplete information/documentation, we reserve the right to withdraw from completing the tax return in which you will be notified and all documents will be returned. We do no share any client information. Due Diligence: As required by the IRS, we must ask additional questions and possibly request further documentation for tax returns that are claiming the Child Tax Credit, Additional Child Tax Credit, Education Credits, Earned Income Tax Credit, and using filing status as Head of Household. Click on “Tina’s Blog” to read past blog posts! Mostly tax-related, but also doggy & community related blogs are written from time to time. Click on “Newsletter” to subscribe to our quarterly newsletter! Tax Planning: The majority of tax returns will be changing if not because of the new tax law, then for sure because of the new Forms. We can help you determine the impact the Tax Cuts and Jobs Act of 2017 has on your tax return, plan for future years, develop tax-saving techniques & strategies, and most of all, reduce your concerns and fears over what this New Law means for you. Real Estate Professionals: We work with many realtors, investors, flippers, wholesalers, and developers to maximize tax credits and deductions. You can find our monthly newsletter specifically for Real Estate Pro’s on our website, click on “Taxes for Real Estate Professionals”. The new tax law has many favorable credits and deductions for Real Estate Pro’s such as Bonus Depreciation, increased and expanded Sec. 179 Expensing, 20% Qualified Business Income Deduction, and Qualified Opportunity Zones. Ask me about a Residential Cost Segregation Study for your rental properties and availability of accelerating depreciation! Tax Help: Whether someone has not filed taxes in one year or ten years, we can file all year’s tax returns, setup payment plans, or request settlement of tax debt. We can communicate with the IRS or State taxing authority on your behalf, thus eliminating the stress, headache, and frustration of resolving tax issues on your own. ITIN Application & Tax Compliance of Foreign Individuals living in the US: Foreign Individuals who are not eligible for a SSN but have a tax filing requirement must apply for an ITIN (Individual Taxpayer Identification Number). Additionally, certain ITIN’s have expired at the end of the year and thus must be renewed before a tax return can be filed. When applying or renewing an ITIN, original documents such as a passport must be submitted to the IRS. However, we have an agreement with the IRS that enables us to verify your Foreign Status and Identity & issue a Certificate of Accuracy which is then sent to the IRS with your application rather than the original documents. No more sending original passports, driver’s license, etc to the IRS! Estate/Trust Tax Returns: Are you the administrator/executor of an estate or trust? Have you experienced the loss of your spouse or parents? We will work with your legal counsel to prepare the Final 1040, Estate or Trust Form 1041 & 706 (if applicable). Payroll Processing: Would you like to outsource your small business payroll without the large fees? We are your local, convenient, and trusted payroll processing partner. We process your payroll timely, submit federal and state payroll taxes on your behalf, and prepare and file quarterly and year-end reports including issuing employee W-2’s and 1099’s. Reviews: We’d love to hear from you with a 5- Star Review on FaceBook or Google. Thank you! Thank you for choosing Integrity in Tax & Accounting, LLC for your tax & accounting needs! We value each and every client and pride ourselves on providing quality service, superior knowledge, and year-round support to our clients! This entry was posted in Blog on January 29, 2019 by c06675329.